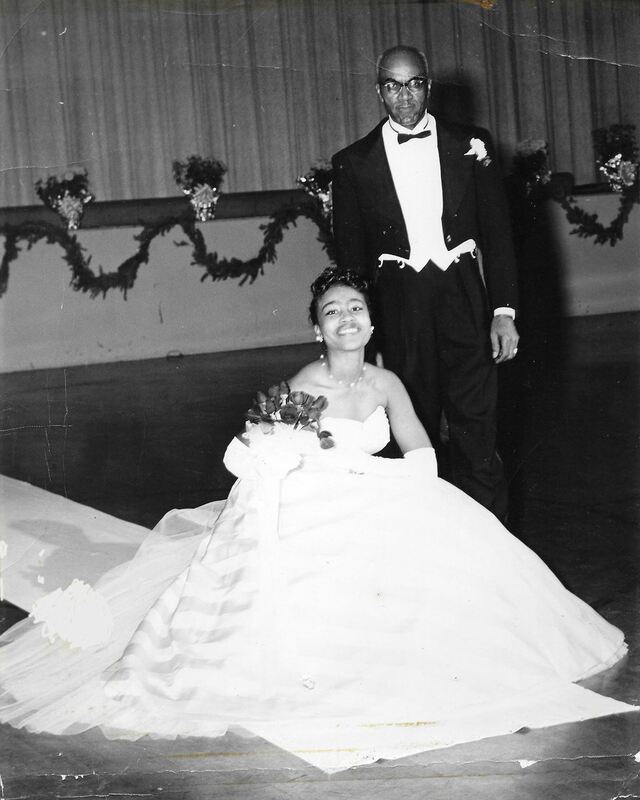 In 1951 two members of Alpha Kappa Alpha Sorority, Incorporated suggested sponsoring a Debutante Ball as a fund raiser to help support the sorority’s Delta House in Lawrence, Kansas. Delta House was purchased and financed by Alpha Kappa Alpha Sorority, Incorporated in order to ensure that black students attending the University of Kansas had adequate, desirable housing. The sorority maintained Delta House until open housing laws were passed. The two sorority sisters who suggested having a Debutante Ball were the late Lillian Orme of Mu Omega Chapter in Kansas City, Kansas and Mildred Althouse of Kansas City, Missouri’s Beta Omega Chapter. The two women served as co-chairpersons for the first Ball in 1951. 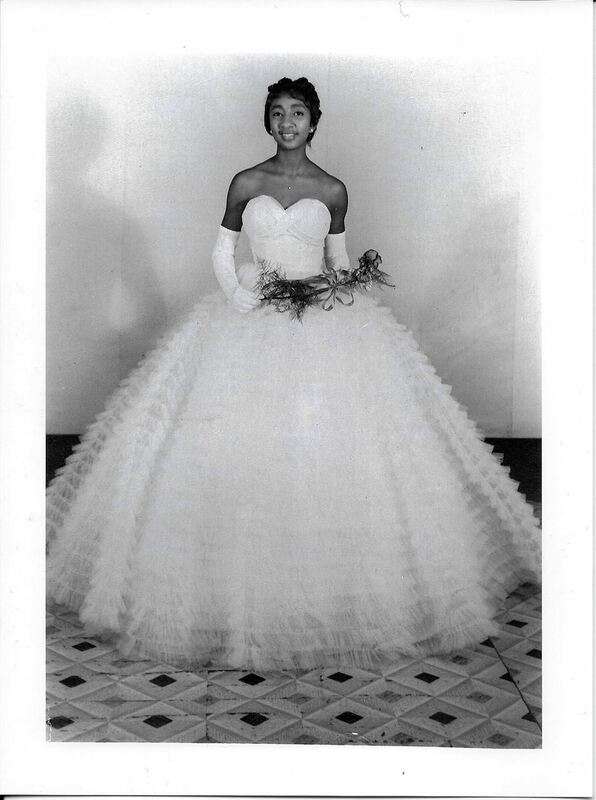 The first Debutante Ball in 1951 was given at the American Legion Hall located at Linwood and The Paseo in Kansas City, Missouri. The practice of giving the ball was discontinued after the 1952 Ball due to America’s involvement in the Korean War and the low number of Debutantes participating in it. Following the Korean War years when more and more young women and their parents requested the resumption of the Debutante Ball both the Beta Omega and Mu Omega chapters felt the need to classify the event as one of their community service projects. At that time they instituted the practice of awarding scholarships to the Debutantes. When the awarding of scholarships first began in 1971, a total of only $350.00 was presented. To date, Beta Omega and Mu Omega Chapters of Alpha Kappa Alpha Sorority, Incorporated have awarded $1,501,600.00 in scholarships and book awards. Since the first Debutante Ball, the two chapters have recognized 1,941 outstanding young women who have attained high scholastic achievement; were active in student organizations and in the local community; and who were talented and well rounded. All Debutantes, at the time of their presentation, are either high school seniors or first semester freshmen in college. We are proud to celebrate 66 years of service to young women in the Kansas City area. Alpha Kappa Alpha Sorority, Incorporated(AKA) is an international service organization that was founded on the campus of Howard University in Washington, D.C. in 1908. It is the oldest Greek letter organization established by African American college educated women. Alpha Kappa Alpha is comprised of nearly 300,000 members in 1,012 graduate and undergraduate chapters in the United States, Liberia, the Bahamas, the U.S. Virgin Islands, Germany, South Korea, Bermuda, Japan, Canada, South Africa and the Middle East. Beta Omega Chapter was chartered on October 20, 1920 by the 2nd International President Lorraine Richardson Green at the Paseo Branch of the YWCA in Kansas City, MO. The charter members were Gladys C. Anderson, Doris R. Novel, Judith A. Syms, Irma G. Frazier, Anne E. Jackson, Mary F. Clifford, Ethel Mowbray, Laura Pyles, Mary Miller, Grace M. Hill, and Beulah Burke. The chapter was originally named Lambda Graduate Chapter and changed to Beta Omega in 1922 when Alpha Kappa Alpha realigned all chapter names to correspond with the order of the Greek alphabet. Beta Omega chapter is the 2nd oldest graduate chapter in the sorority. About The Ivy Community Service and Education Foundation, Inc. The Ivy Community Service and Education Foundation, Inc. (ICSEF) is a 501 (c) (3) nonprofit foundation incorporated in the State of Missouri. It serves as the philanthropic (charitable) arm of Beta Omega Chapter of Alpha Kappa Alpha Sorority, Inc. The ICSEF was created to receive and administer funds for charitable and educational purposes for Alpha Kappa Alpha Sorority, Inc., Beta Omega Chapter.